It started with the "low brake fluid" warning coming up. I topped up the resevoir but this didn't fix it. I checked the connections and used the handbrake on and off method. Still not such a problem just that annoying beep! The fuel guage started reading full all the time. After about a week the side airbag light came on along with "air bag" warning light. Checked fuses, checked wires no joy. Then the speedo and rev counter and temp. guages started dancing! Tapping the brakes made them behave. Then, with the car locked, the brake lights came on. Then went off, then glowed dimly then stayed on. 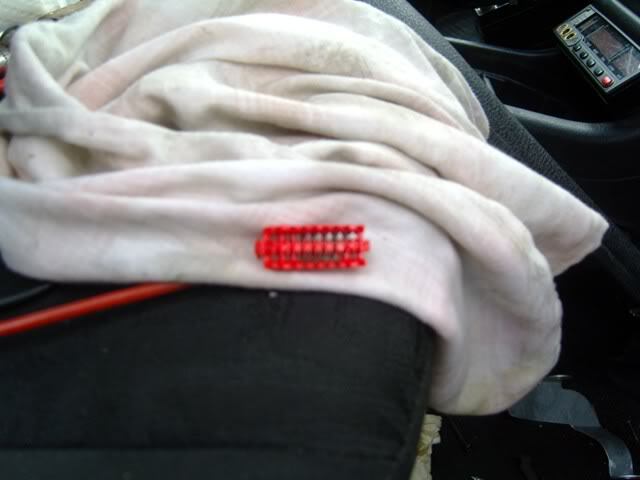 At this point I pulled the fuses for the brake lights and bugger all happened. The lights stayed on. Disconnected the battery and then reconnected. Lights stayed off until I tried the brakes with the ignition on. I removed the BSI (with the battery disconnected) and (with battery back on) turned on the ignition to find all the lights still lit up. Must be the dash board. Out with the dash on with the soldering iron. Every pin and connection to the dials. Looked for all the earth points round the car. Got to the drivers footwell and I could hear a buzzing noise. Could it be a relay? Took the footwell side panel off and the sill cover. Saw what looked like a wisp of smoke! Using contact cleaner and good old WD I gave them a good clean. I removed the pin retaining clips and with a small file and a pick I cleaned as much rusty gunk out as I could. After drying as much as I could and reconnecting and disconnecting all the connectors several times I turned on the ignition to find all the lights extinguished. The "low brake fluid " warning has also disappeared! 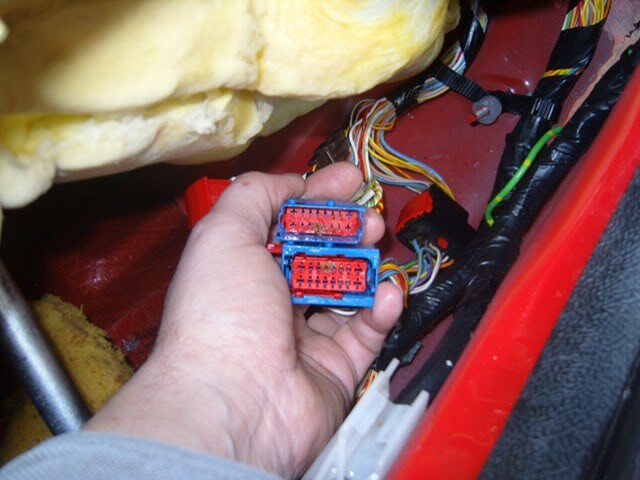 Looking at the Haynes wiring, the fuse for the brake lights also does the dash bulbs and the passenger airbag disable. 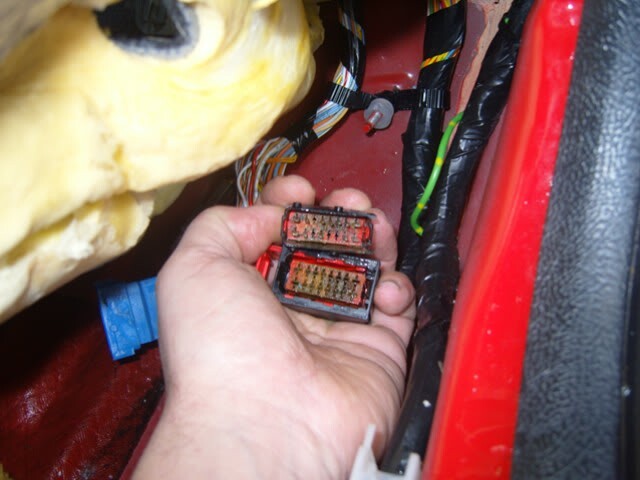 There must be a permanent live in one of the connectors(rear passenger light or boot light maybe) that was shorting and making a circuit with the brake light circuit. I was going to bite the bullet and let an autosparky have a looksee. £45 an hour made me more determined to find the fault myself! Last edited by steve_earwig on Mon Sep 11, 2017 12:41 pm, edited 4 times in total. Well worth sharing with us for future reference. It's always something simple isn't it? It's just finding it. I think the problem was caused by the routing of my aerial wire through the door seal. I think this where the water entered. That or the jet wash.
Sorted with some bathroom sealer. Wot, like a Merc? Hmm, a nice tray for the connectors to marinade in... More like wrap the damn things in self-almagamating tape! Yeah but you'd never get the buggers apart again! Sod it, coat the whole lot in plumbers mate!